“Tim had studied abroad in Egypt and was enamored with the culture and language. Soon after he returned, he met me, an Egyptian. We kept running into each other at our university’s library. It would be months before he admitted that he changed where he sat so he could bump into me and I would confess doing the same. But before that, we took long walks together around campus, strolling the wooded trails and sharing threads of ourselves that attached us to one another. He graduated and I went to Wales for a semester abroad, still in my junior year. We sent each other handwritten letters in the mail to keep in touch. Letter by letter, we fell in love and grew to know each other well. Tim proposed to me three years later on the first trail we ever walked together, under a tree we call “The Giving Tree” after the Shel Silverstein story. 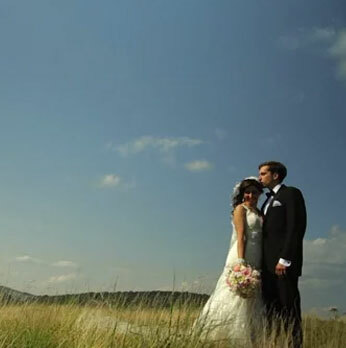 Monachetti Weddings is a boutique wedding videography company servicing Washington DC, Maryland, and Virginia, but available for hire worldwide. Voted as a “Best Wedding Vendor” year after year by Washingtonian, Monachetti has uniquely situated itself as one of DC's most progressive and alternative wedding videography companies. The Monachetti team is made up of a small, tight group of video professionals that are committed to crafting unique videos for their couples. Over 13 years and a few hundred weddings later, Monachetti's network has grown into a small collective of artists, who all share a common passion for creating high quality, highly diverse wedding videos. Whitney and Mark’s Wedding at the Omni Shoreham in Washington D.C.
©2019 Monachetti weddings. all rights reserved.